The news hasn’t reached Athy …. Posted in Misc and tagged Garth Brooks, stetson at 1:50 pm on May 9, 2017 by Broadsheet. [Lord Mayor of Cork] Cllr Des Cahill told The Neil Prendeville Show on Cork’s Red FM sources within the music industry had told him talks were under way to bring Garth Brooks and Adele to Páirc Uí Chaoimh next summer, once a €70 million refurbishment of the stadium is completed. “Negotiations are underway to sign contracts… June was the date I heard for Garth Brooks and July was the date I heard for Adele,” said Mr Cahill, adding he was “very, very confident” both artists would play the Cork venue next year. Posted in Misc and tagged Garth Brooks, Páirc Uí Chaoimh at 12:05 pm on July 28, 2016 by Broadsheet. Actress Deirdre O’Kane preparing for Are You There, Garth? 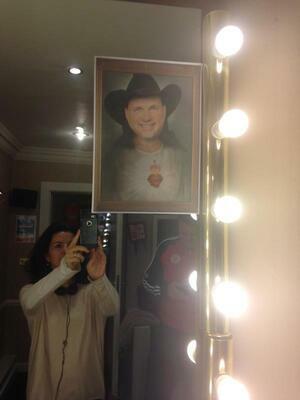 It’s Me Margaret, written by Fiona Looney about the Garth Brooks concert cancellation brouhaha. 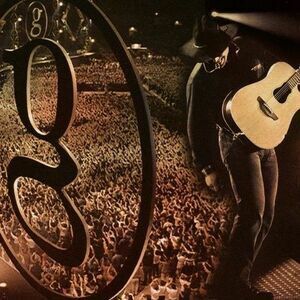 Posted in Misc and tagged Gaiety, Garth Brooks at 12:20 pm on October 15, 2015 by Broadsheet. 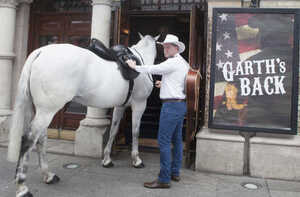 Fair City’s Maclean Burke playing Garth Brooks outside the Gaiety Theatre, Dublin with unidentified hoss to announce details of Fiona Looney’s new play ‘Are You There Garth? It’s Me Margaret’. 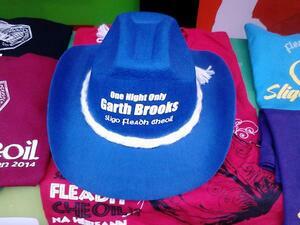 July marks the anniversary of the cancellation of the Garth Brooks Croke Park gigs brouhaha. ‘Are You There, Garth? It’s Me, Margaret’ opens in the Gaiety on October 14 for MORE than five shows. Giggle. 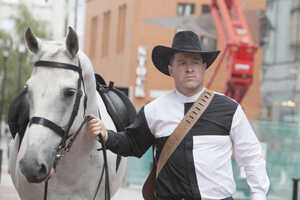 Posted in Misc and tagged Garth Brooks at 1:37 pm on July 20, 2015 by Broadsheet. 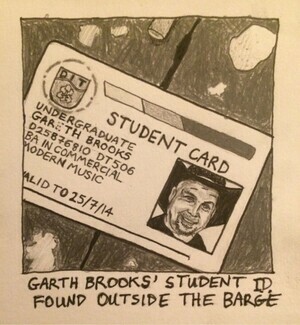 Posted in Comics and tagged Garth Brooks, The Barge at 7:25 am on November 17, 2014 by Broadsheet. 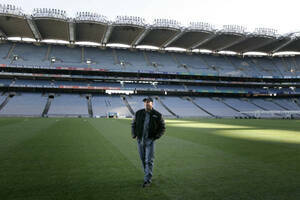 Posted in Misc and tagged Croke Park, Garth Brooks, MCD at 4:27 pm on October 29, 2014 by Aaron McAllorum. Posted in Misc and tagged Garth Brooks at 9:33 am on October 17, 2014 by John Moynes. Must-have Fleadh Cheoil accessory. Definitely getting one of those. 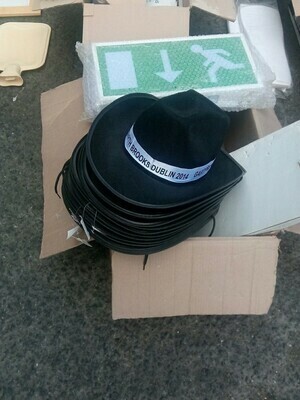 Posted in Misc and tagged Garth Brooks, hat at 8:50 am on August 14, 2014 by Broadsheet. Muff, Co Donegal this afternoon. 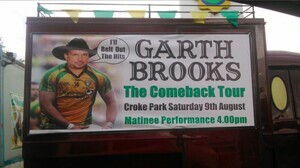 Posted in Misc and tagged donegal, Garth Brooks at 2:34 pm on August 5, 2014 by Broadsheet. 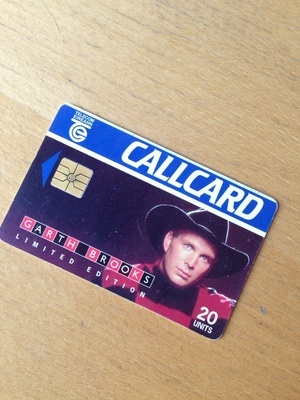 Posted in Misc and tagged call card, Garth Brooks at 7:51 am on August 1, 2014 by Broadsheet.